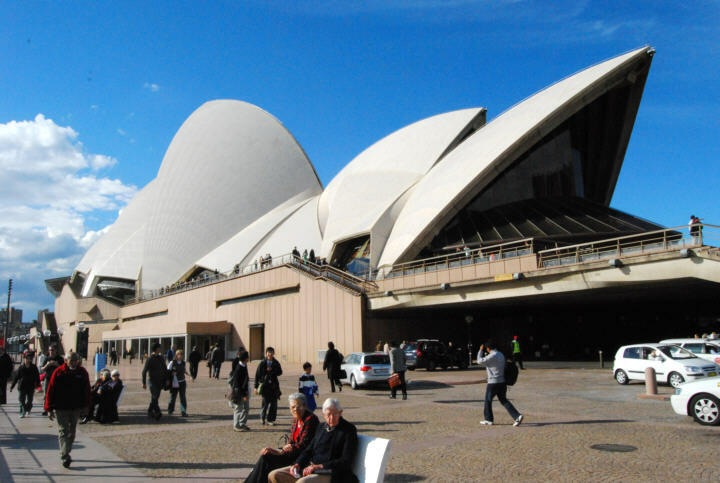 The Sydney Opera House, situated on Bennelong Point alongside Sydney Cove, has venue buildings covered by a seashell like, white, glistening coverings. On a sunny sparkly day, which Sydney has many of, the building is stunning sight, both from the water and surrounds. Showing the location of the SOH and other Sydney attractions: Map to the Sydney Opera House.